Still searching for your passion? Did you know your passion could be borne out of pain. What do you mean pain? Lets look at some great people whose passion changed the world and was borne out of pain and suffering. In 1845 Thomas Barnardo was born in Dublin, he decided to become a medical missionary in China so went to London at 21 to study. Two months after arriving, there was an outbreak of Cholera, leaving children destitute without parents or any family member to look after them, these children could be found sleeping on the street, many were forced to beg after being maimed in factories. At 22 years old Barnardo set up ‘The ragged school’ In the East end of London where the children could get a basic education, food and clothing. One evening, one of the boys who lived at the mission,took Barnardo to the streets and showed him children sleeping on roofs and in the gutters.Barnardo abandoned his plans to become a missionary in China, as he was so effected by the sight of these destitute children. In 1870 Barnardo opened his first home for boys, they were also given the opportunity to learn a trade. At the time Barnardo limited the amount of children who could stay at the shelter. One night a boy called John Somers (nicknamed Carrots) was turned away from the shelter as it was full. Two days later he was found dead – cause of death was malnutrition and exposure. From then on, Barnardo vowed never to turn any child away, putting a sign over the door of the home stating ‘No destitute child ever refused admission’. Barnardo's continued to expand its work in fostering and adoption, and family centres were set up in communities to support families in deprived areas. They set out to help families, with the aim of defusing the stress and tension that might lead to family breakdown and child abuse. Barnardo's pioneered schemes for young juveniles and disabled children and throughout the 1980s and 1990s developed schemes that deals with child sexual abuse, homelessness and children affected by HIV/AIDS. Then there was a little girl called Anne Frank, she was born in 1929 in Germany . The Frank family moved from Germany to Amsterdam in the early 1930s when the Nazis gained control over Germany the Netherlands. In May 1940, Germany invaded the Netherlands and the government began to persecute Jews by the implementation of restrictive and discriminatory laws; mandatory registration and segregation followed. On the morning of Monday, 6 July 1942 as Anne Franks’ father was unable to get the family out of the country, they went into hiding. The family hid in concealed rooms in the building where Annes’ father worked. The doorway was hidden by a book case. The family spent two years in hiding, during this time Anne documented her thoughts, feelings and daily life in hiding. In August 1944, the group was betrayed and transported to concentration camps. On arrival, Anne and her family were forced to strip naked to be disinfected, they had their head shaved, and was tattooed with an identifying number on her arm. By day, the women were used as slave labour hauling rocks, digging and rolling turfs of grass, by night, they were crammed into overcrowded barracks. Disease was rampant; before long, Anne’s skin became badly infected by scabies. Anne and her sister, Margot were eventually transferred to Bergen-Belsen concentration camp, where they died of (it is believed ) typhus in February /March1945, just weeks before the camp was liberated in April. Otto Frank, Anne’s Father was the only survivor of the family, he returned to Amsterdam after the war to find that Anne's diary had been saved by one of the helpers,and his efforts led to its publication in 1947 it was first published in English in 1952 as ‘The Diary of a Young Girl’ it has since been translated into over 60 languages. The diary, which was given to Anne on her thirteenth birthday, chronicles her life from 12 June 1942 until 1 August 1944. 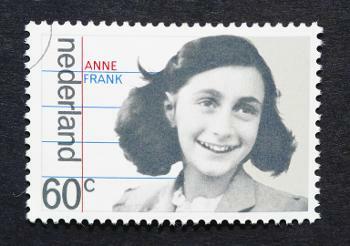 On 3 May 1957, a group of citizens, including Otto Frank, established the Anne Frank Stichting in an effort to rescue the Prinsengracht building from demolition and to make it accessible to the public. The Anne Frank House opened on 3 May 1960.In 1963, Otto Frank and his second wife, set up the Anne Frank Fonds as a charitable foundation, in-order to educate young people against racism. Today The Anne Frank Trust stands for Challenging, prejudice and reduce hatred. Anne Franks legacy is one of tolerance and hope for a world to live together respectfully and in freedom, regardless of their orgin or political beliefs., It was Annes’ fathers’ passion to have his daughters memoirs published and to share with the world what she stood for, that spurred him on. All of which was born out of suffering. Martin Luther King, Jr born Michael King Jr on January 15, 1929 to a Baptist minister. Martin luther King Sr fought against racial prejudice, this had a lasting effect on his son. King graduated from Morehouse College with a BA in sociology, In 1951 he was granted a BA of Divinity and in 1955 a PhD in Systematic Theology from Boston University, during which time King married Coretta Scott before he was aged 25. King became a civil rights activist. He led the 1955 Montgomery Bus Boycott and helped founded the Southern Christian Leadership Conference (SCLC) in 1957, serving as its first president. With the SCLC, King led an unsuccessful 1962 struggle against segregation in Albany, Georgia (the Albany Movement), and helped organize the 1963 non-violent protests in Birmingham, Alabama. King also helped to organize the 1963 March on Washington, where he delivered his famous "I Have a Dream" speech. There, he established his reputation as one of the greatest orators in American history. During his 12 years as a spokesman for The Montogomany Improvement Association, King was arrested more than 30 times on one such occasion he wrote his famous letter to the clergy from a Birmingham Jail. King suffered harassment, intimidation, violence with his house being attacked on numerous occasions. Kings relentless work gained him the Nobel peace Prize in October 1964, for combating racial inequality through non-violence. In 1965, he helped to organize the Selma to Montgomery marches, and the following year he and SCLC took the movement north to Chicago to work on segregated housing. In the final years of his life, King expanded his focus to include poverty. In 1968, King was planning a national occupation of Washington, D.C., to be called the Poor People’s Campaign when he was assassinated on April 4 in Memphis, Tennesse. King was posthumously awarded the Presidential Medal of Freedom and the Congressional Gold Medal. Martin Luther King, Jr. Day was established as a holiday in numerous cities and states beginning in 1971, and as a U.S. federal holiday in 1986.Hundreds of streets in the US have been renamed in his honor, as wellas a county in Washington State.The Martin Luther King, Jr. Memorial on the National Mall in Washington, D.C., was dedicated in 2011. The King Center in Atlanta is a living memorial to King’s vision of a free and equal world dedicated to expanding opportunity, fighting racism and ending all forms of discrimination. He attended primary school in Qunu where his teacher, gave him the name Nelson, in accordance with the custom of giving all schoolchildren “Christian” names. Mandela attended Fort Hare University and the University of Witwatersrand, where he studied law. In Johannesburg, he became involved in anti-colonial politics, joining the ANC and becoming a founding member of its Youth League after the Afrikaner minority government established apartheid. In 1944 Mandela married Evelyn Mase and had four children, they divorced in 1958. In 1952 he was chosen as the National Volunteer-in-Chief of the Defiance Campaign. This campaign of civil disobedience against six unjust laws was a joint programme between the ANC and the South African Indian Congress. Mandela was charged under the Suppression of Communism Act for his part in the campaign and sentenced to nine months of hard labour, suspended for two years. In August 1952 he and Oliver Tambo established South Africa’s first black law firm, Mandela & Tambo. As Mandela was a restricted person he was only permitted to watch in secret as the Freedom Charter, he helped to create was adopted in Kliptown on 26 June 1955. On 5th December 1955 after a country wide swoop Mandela was arrested among countless others in the Treason Trail where he was acquitted after four years in 1961. During the trail he married Winnie Madikizela, on 14 June 1958. They had two daughters, Zenani and Zindziswa. The couple divorced in 1996. On 21 March 1960 police killed 69 unarmed people in a protest in Sharpeville against the pass laws. This led to the country’s first state of emergency and the banning of the ANC and the Pan Africanist Congress (PAC) Mandela among thousands of others were detained during the state of emergency. Days before the end of the Treason Trial, Mandela travelled to Pietermaritzburg to speak at the All-in Africa Conference, he was asked to write to Prime Minister Verwoerd requesting a national convention on a non-racial constitution, and to warn that should he not agree there would be a national strike against South Africa becoming a republic. After he and his colleagues were acquitted in the Treason Trial, Mandela went underground and began planning a national strike, but in the face of massive mobilisation of state security the strike was called off early. On 11 January 1962, using the adopted name David Motsamayi, Mandela secretly left South Africa. He travelled around Africa and visited England to gain support. 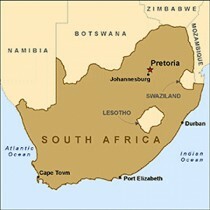 He returned to South Africa in July 1962 and was arrested in a police roadblock while returning from KwaZulu-Natal. Mandela was charged with leaving the country without a permit and inciting workers to strike. He was convicted and sentenced to five years' imprisonment. Within a month police raided a secret hide-out in Rivonia used by ANC and Communist Party activists, and several of his comrades were arrested. On 9 October 1963 Mandela joined 10 others on trial for sabotage in what became known as the Rivonia Trial. While facing the death penalty his words to the court at the end of his famous "Speech from the Dock" on 20 April 1964 became immortalised. On 11 June 1964 Mandela and seven other accused, were convicted and the next day were sentenced to life imprisonment. Mandela’s mother died in 1968 and his eldest son, Thembi, in 1969. He was not allowed to attend their funerals. Mandela served 27 years in prison, initially on Robben Island, and later in Pollsmoor Prison and Victor Verster Prison. An international campaign lobbied for his release, which was granted in 1990 amid escalating civil strife. Mandela joined negotiations with President F. W. de Klerk to abolish apartheid and establish multiracial elections in 1994, in which he voted for the first time and led the ANC to victory. Mandela became South Africa's first black president. On 10 May 1994 he was inaugurated as South Africa’s first democratically elected President. On his 80th birthday in 1998 he married Graça Machel, his third wife. 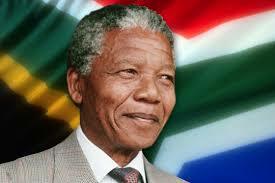 Mandela died at the age of 95 at his home in Johannesburg. Nelson Mandela Children’s Fund he set up in 1995 and established the Nelson Mandela Foundation and The Mandela Rhodes Foundation.Nelson Mandela never wavered in his devotion to democracy, equality and learning. Despite terrible provocation, he never answered racism with racism. His life is an inspiration to all who are oppressed and deprived. Immaculee Ilibaguza a 22 year old Tutsis girl, in 1994 was student studying 200 miles away from her home in the Rwandan province of Kibuye. During the Easter break her father insisted that she come home to be with the family. On the morning of April 7, the long, ethnic tension between the nation's majority Hutus and the Tutsis, reached boiling point. The radio stations began to broadcast hate speeches calling to arms and to kill all people from the tribe Tutsis. Immaculees father gave her some rosary beads and told her to go to the protestant Hutu pastor and hide there. Immaculee and seven other woman hid in a bathroom measuring 3ft x 4ft. The door was hidden by a wardrobe. The mass murder/slaughter lasted for 100 days during which time lmmaculee says she could hear the killers call her by name with contemtuus determined voices, ’she is here, we know she’s here somewhere, find her, find Immaculee’ one of them said. Immaculee and the other women knowing that if they were found would be raped and murdered. Immaculee said that she could hear people in the street being slathered as the Hutu mob, Some,her former friends and neighbours shouting Kill them kill them kill them all. During her time in the bathroom Immaculee thoughts went from dam them dam them all to hell to ‘forgive them they know not what they do’ and she began to pray for her killers. As the violence in Rwanda had been quelled and talk of UN-led tribunals had begun, Immaculee returned to Kibuye. There, she visited a prison to meet the leader of the gang who killed her mother and bother. His name is Felicien. Before the genocide, she said, he had been a successful Hutu businessman known for his expensive suits and impeccable manners. Immaculee recalled in her talk how she used to play with his children. It was Felicien's voice that she heard calling her name when the killers searched the pastor's home. She reached out and touched his hands and said: "I forgive you." His Tutsi jailer was furious at this, and asked "Why did you forgive him?" 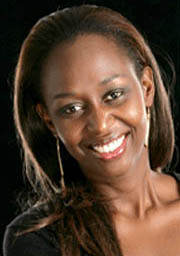 Immaculee set about rebuilding her life as the violence in Rwanda ended which killed 500,000–1,000,000 people. She worked for several years with the United Nations helping Rwandan refugees. She has also established a foundation, The Left to Tell Charitable Fund, to continue that work. She now tours giving talks on forgiveness. Frederick Douglass, born a slave, fought for his own and his people's freedom from slavery. Marcus Garvey, who led the Back to Africa movement, promoted black nationalism and black pride. Mother Teresa's Missionaries of Charity operating 610 missions in 123 countries. These included hospices and homes for people with HIV/AIDS, leprosy and tuberculosis, soup kitchens, children's and family counselling programs, personal helpers, orphanages, and schools. There are countless others. Mohandas Karamchand Gandhi was the pre-eminent leader of the Indian independence movement Gandhi led India to independence and inspired movements for civil rights and freedom across the world. 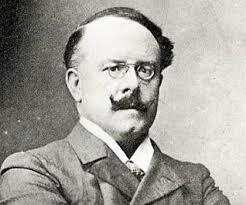 It was the pain of seeing those children suffering that led Dr. Barnardo to allow the compassion he had to help. Anne Franks leaves a legacy because of her fathers urge to ensure the world knew about his daughters feelings regarding tolerance, respecting others regardless of their origins. A passion borne out of a holocaust. Dr King worked tireless in the pursuit of equality with a passion to right a wrong. Mr Mandela, in his speech on 20th April 1964 said he was willing to die for what he passionately strived for. Immaculee a Catholic woman had nothing to give but forgiveness. At 22 years old she did not set out to become a speaker, If you have ever watched a video in which Immuculee Llibaguza takes the stage, you’ll see this slim quiet spoken woman whose family barring one brother, who was abroad at the time had been killed. Now preaches Mercy. What hurts? Is it your passion calling? 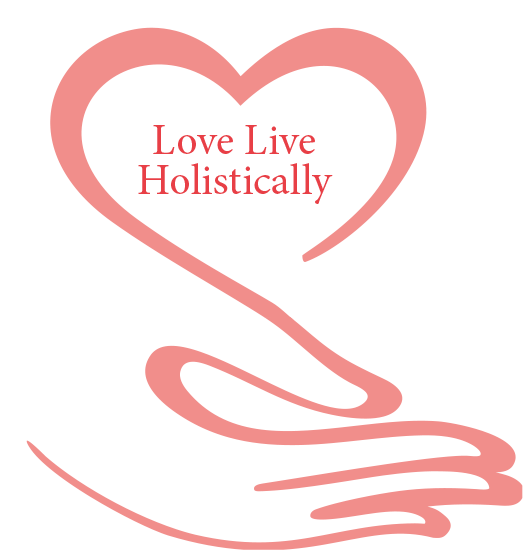 What has hurt you in the pass that you felt ‘I wish I could do something about that’ It may be a taboo subject, it may be something that happened to you or to a friend when you was a child, and you wished you could do something about that. What hurts? Deep deep down inside you, that you have always wanted to do something about it. Give yourself permission and start today. Maybe, just maybe its time to show your wounds to help others with theirs.